R57 billion allocated towards funding higher education and training. ON A BUDGET: The minister unveiled a budget of R1, 67 trillion which included an extensive allocation towards education. Photo: Provided. Finance Minister Malusi Gigaba has allocated R57 billion towards higher education and training, which will be implemented over the next three years. Delivering his first budget speech on Wednesday, Gigaba said this was “the largest reallocation of resources towards government’s priorities”. The higher education allocation includes an additional R14.3 billion for the National Student Financial Aid Scheme (NSFAS), converting what used to be loans into grants. Qualifying students come from homes with a combined household income of R350 000 or less. The 2018 first year students are the first beneficiaries of free higher education provided by the government for students in universities, universities of technology and technical, vocational education and training colleges. Senior economics lecturer at the University of Johannesburg, Dr Sean Muller, told Wits Vuvuzela that, “The allocation of R57 billion is a very significant increase from a public finance perspective, even more so given the difficult situation the country currently faces. The budget repeatedly says that the future costs of the new higher education policy are ‘uncertain’, which is concerning. It raises questions about what the R57 billion will cover and what it will not. “Unfortunately, neither the Minister of Finance nor Treasury has provided enough detail to say definitively whether the R57 billion matches all the expectations that have been created,” said Muller. Regarding contingency plans should the allocation not be enough, Muller added that, “The government does have a ‘contingency reserve’ which can be drawn on for unforeseen or emergency situations. However, that is not really an appropriate source of funding for higher education and there are many other demands that could arise. “This is why it is very important to understand what assumptions National Treasury, and the cabinet, made about enrolment and funding. Gigaba also announced an increase in the Value Added Tax (VAT) from 14 % to 15%. 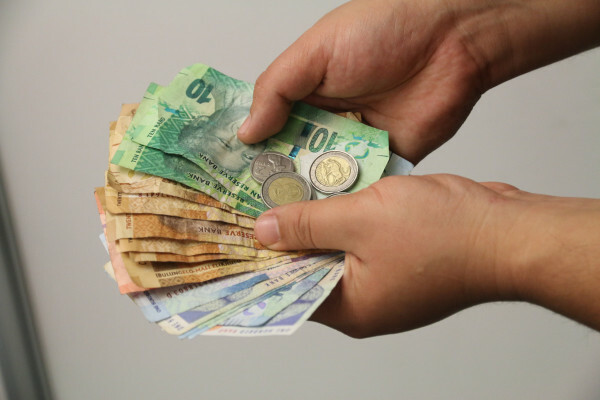 Dr Gilad Isaacs, lecturer at the Wits School of Economic and Business Sciences, said that the VAT increase would have implications for poor families. “Simultaneously with positive intervention, there is an undermining of the spending power of poor households,” Isaacs said. He added that other measures could have been taken to allocate revenue towards higher education, such as increasing personal income tax on those earning R1 million or more, as well as increasing corporate tax.